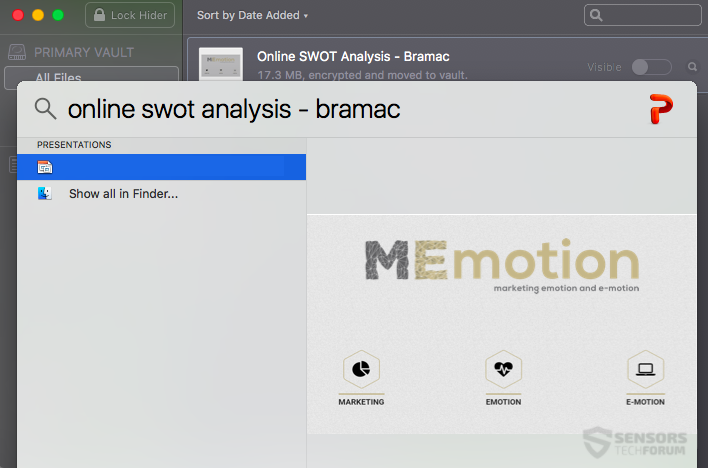 This is a software review of Hider 2 app for Mac OS. An application designed to Lock and encrypt the files on your computer for protection. The file protection segment has lately become very popular, especially because of different security breaches and malware infecting not only business users, but organizations as well. Another reason for this segment to become popular is the latest trend implemented by many organizations out there, called BYOD (Bring Your Own Device). This trend cannot guarantee for the privacy of each file, this is why many users tend to look for a protection solution for their important files, without having to back them up in the cloud. 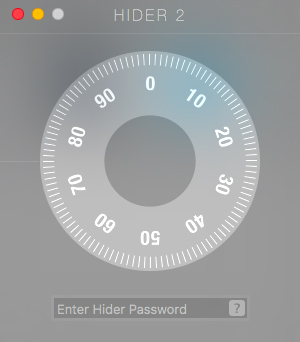 This is the situation with Hider 2 which safely conceals any file on your MacBook. We have decided to do a software review and demonstrate how users can benefit from using it. Type File hider and locker. License Price €19.95 for a single license. Then, the user is taken to a “Create Vault” screen which allows to make a virtual vault with a custom password and even backup the password externally in the event it is forgotten. 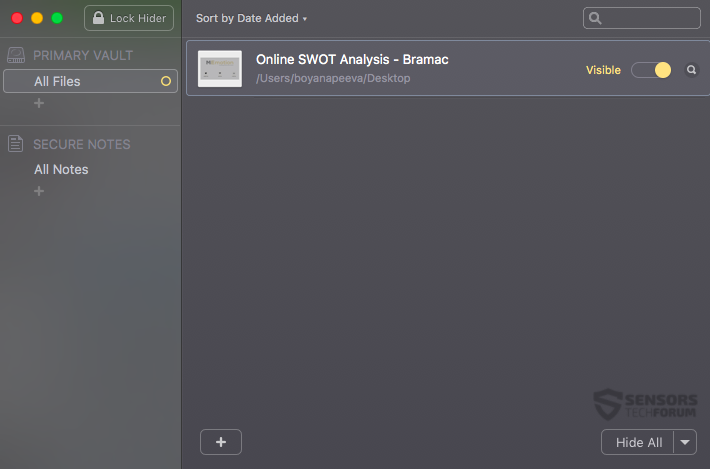 After the vault is created, Hider 2 displays a rather minimalistic interface, which is user friendly. 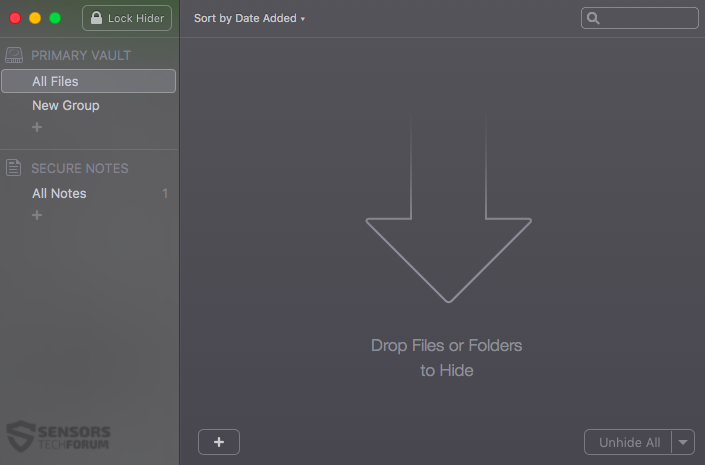 The application gives the ability to add files by either clicking on the “+” icon and finding them or directly dropping them in it. The second feature of this software is to also enable you to store your passwords in it, which makes it a password protection and storage software as well. A clever approach, to say the least. 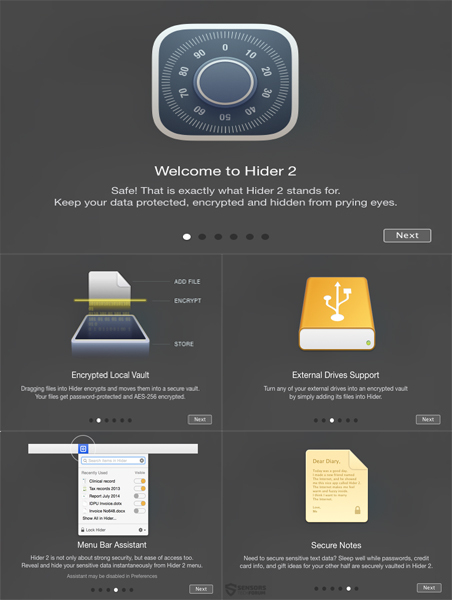 The main feature of Hider 2, which impressed us the most is the type of encryption it uses. The program takes advantage of the AES (Advanced Encryption Standard) encryption algorithm. This is a must, if you are using a file protection software, because the algorithm is very strong and nobody except you can access the files, providing the password for them. The AES cipher’s another benefit is that it is also calssified as a Suite.B algorithm, meaning that it is used by agencies such as the NSA and other institutions to encrypt important files to protect them from prying eyes. In terms of performance, the app is nothing a MacBook can’t handle, because it is light and runs actively without it even being seen in the Force Quit menu. This means that even if you want to turn it off (or someone else does), they cannot do it, without typing the password in the app itself. Simple and clever. The program also has a discrete tray icon in the upper bar which is basically an instant login to it, after the login password is typed. Has a user-friendly interface and a simple tutorial with photos. 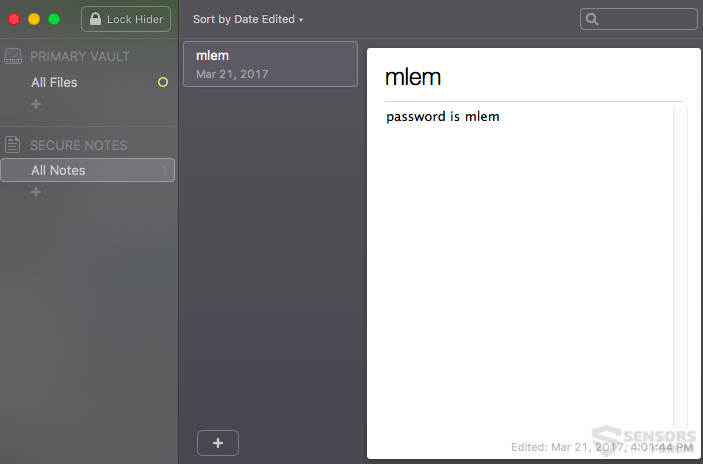 Password and note storage in it. Runs hidden from Force Quit. If the file is added to the program and is visible it can be opened while the program is opened. It could use more security features for the buck. MacPaw has always managed to satisfy the needs(https://sensorstechforum.com/cleanmymac-software-review/) of the users from our perspective. The company’s core competence is that when they make certain software for a purpose, they make it specifically for this purpose and nothing more, which is very focused way of looking at things. However, the company can use a bit of interconnectedness between their different programs or offer different combinations of applications or more features added, like some of it’s Windows alernatives. I have used Hider 2 for a while now and thought it was safe. Recently, I wanted to decrypt all the files I hade stored in Hider 2 to move them to a separate disc. After entering the password, I was confronted with innumerable error messages, saying that the program could not decrypt many of the files because they were somehow incorrectly encrypted. Terrific! I lost 80% of the files that way. Nothing had changed at all in my set-up since I encrypted them. Hider is buggy and not to be trusted. Hey !, I found this information for you: "Hider 2 Software Review (File Locker Software)". Here is the website link: https://sensorstechforum.com/hider-2-software-review-file-locker-software/. Thank you.